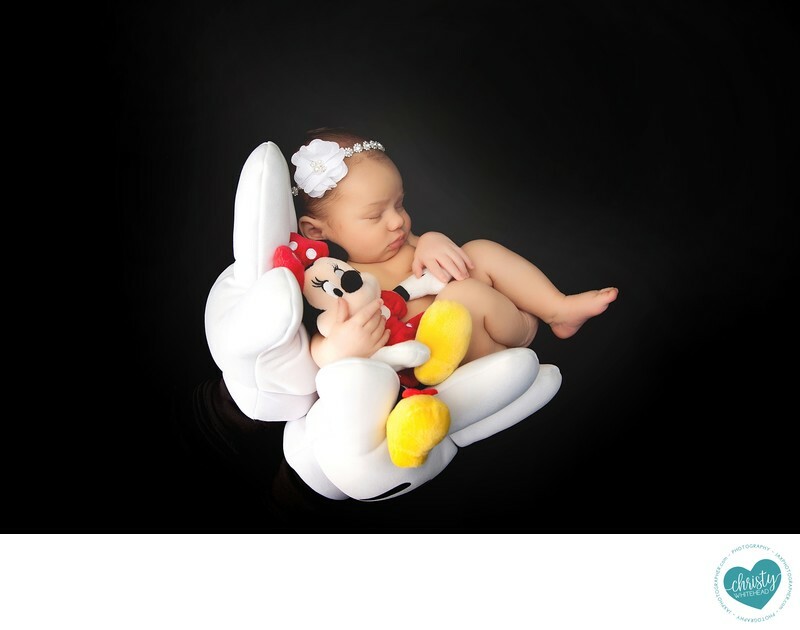 Disney fan in the making newborn session - Newborn Photography | Schedule Your Newborn Shoot Today! Parents were huge Mickey and Disney fans. I have the gloves in studio. Momma played Mickey.